Slot machines are more than 100 years old, and even online slots have a history that now spans almost two decades. No game is more quintessential to casinos than slot machines. Walk into a live casino, and the first thing you will see and hear are dozens of flashing, chiming slots. Online casinos aren’t much different; every casino’s home page is covered in jackpot trackers and new slot previews. Online, you have literally hundreds of different slot games to choose from, and new ones are being released every day. If variety is at the top of your priority list when you come to play, then slots will likely be your game of choice. Whether you plan to become a long-term slots player or just want to try them once, you will get more bang for your buck by understanding online slots before you play them. Many first-time slots players are intimidated by their options. The good news is that most slots follow the same basic set of rules. In other words, once you’ve played one slot, you shouldn’t have any trouble transitioning to other titles of that style. Slot games fall into two major categories when it comes to how they look and play. 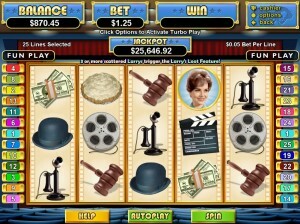 The first category – classic slots – is based on the original 3-reel format but now also includes some 5-reel slots. The second category – video slots – is based on the multi-line slots that revolutionized the game. There are even more variations within each slot category. For example, classic slots may have 3 or 5 reels and added features like wild symbols, multipliers, spin bonuses and both regular and progressive jackpots. Video slots incorporate all of the classic slot options but also offer fun animations, side games, and significantly more paylines. For added entertainment value, video slots (and occasionally even classic slots) frequently feature familiar characters and themes. In a live casino, classic slots are still mechanical. Obviously, online slot games are all computerized, but the classic slots are still designed to mimic both the action and the odds of their real counterparts. For that reason, classic slots are always very simple and straightforward in their design. A typical classic slot only has a few buttons: bet one, bet max, spin and cash out. Usually you have to play at max bet to be eligible for jackpot payouts. Some 3-reel classic slots have only one centered payline while others have three paylines; 5-reel classic slots may have up to nine paylines. Playing only one credit on a slot machine with multiple lines will only earn you payouts on the center payline. Classic slots are especially easy to follow because all possible payouts are posted on the face of the machine. Playing video slots is a little more complicated, but not much. Sometimes these slots use the same buttons as the classic slots, and sometimes they allow you to adjust your bet using + or – symbols for both the paylines and credits per line. You can also adjust your betting denomination to suit your budget. These games also frequently feature auto-spin buttons. When a bonus game is triggered, sometimes you will click directly on the game screen. You can still see a video slot’s payouts in the menu section and can also read the rules for bonus games and jackpots. Whether you’re playing a classic slot or a video slot, you can adjust your bet at any time. You can also hit the cash out button to return credits to your player account. Should you get disconnected, any credits left on a slot machine will automatically be returned to your account.